Built in cupboards need not be superfluous in design in order to achieve simplicity. 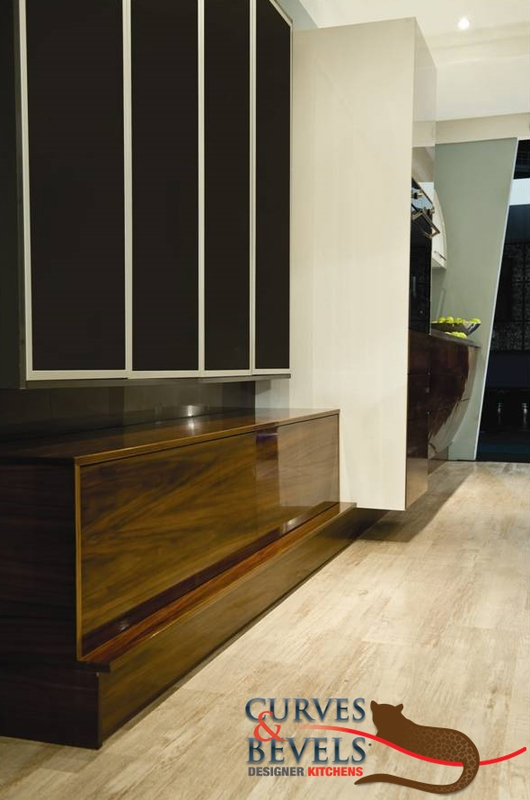 Here we have a linear combination of glass doors framed by aluminium above a high-gloss, walnut veneer. Simplistic in design and appealing to the eye.